Nothing seems to be going right for Sammy today. At school, he got in trouble for kicking a fence, then the cafeteria ran out of pizza for lunch. After he walks home in the pouring rain, he finds his autistic little brother Benji is having a bad day too. On days like this, Benji has a special play-box where he goes to feel cozy and safe. Sammy doesn't have a special place, and he's convinced no one cares how he feels or even notices him. But somebody is noticing, and may just have an idea on how to help Sammy feel better. In this tender story about siblings, author Sally J. Pla shares her experience of raising sons with different personality traits and needs. 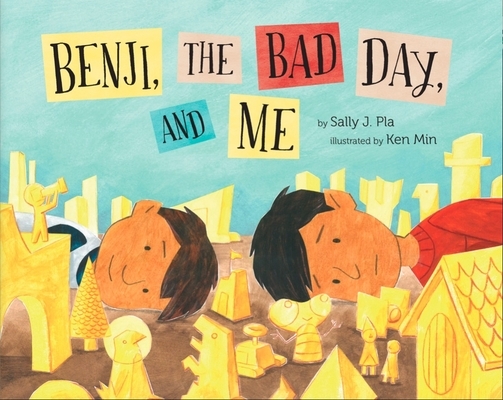 Benji, the Bad Day, and Me embraces the philosophy that we are all part of a wide spectrum of neurodiversity. And on those really bad, rotten days, you can always count on family to be there for you.